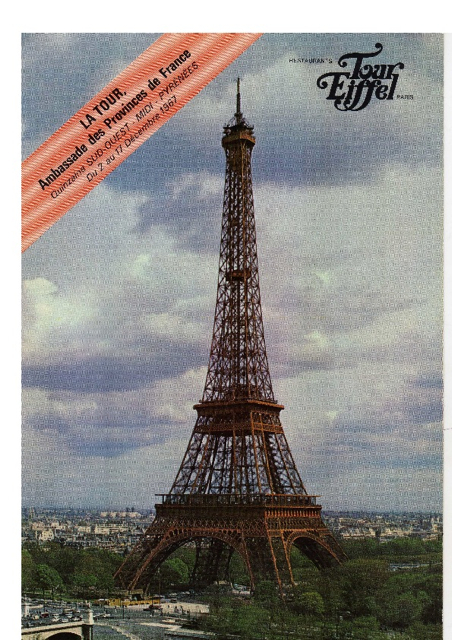 January 12, 2010 Family, Food History, Food Sources, French Food, Gasconha/Occitania, Luchon/Bourg d'Oueil, News, Paris, Recipes No Comments on Lo Magret goes to Paris! At my family hotel salad was never served as a main course, rarely as a first course, occasionally as an appetizer. The “traditional” salad course came after the entree and before the cheese course. 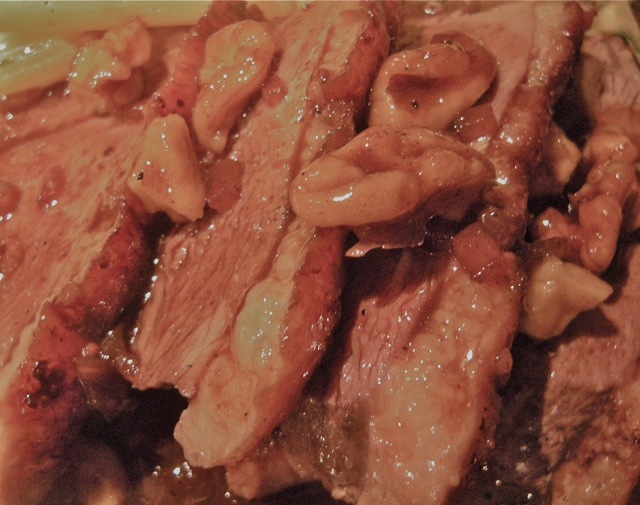 It was mostly Boston lettuce dressed with a vinaigrette prepared with mustard, wine vinegar, peanut oil, salt & pepper, sometimes adorned with a few walnuts. Though once a week the crudités cart was on the menu as an appetizer course. The double deck cart carried a dozen of brown rectangular, low rimmed glazed earthenware individual dishes. They were filled with sliced tomatoes, grated carrots, celery remoulade, potato salad, slices of salamis, sardines, herring, artichoke hearts, champignons à la grèque, asparagus, hearts of palm, just to name a few. The cart was brought to the table were the waitress/waiter would neatly arrange the customer’s choice on a plate. I have fond memories of the cart because it was my first job helping out in the dining room. I was around 6 years old, when Cecile, the sweet, wonderful and ever so caring head waitress —who had been working for my family since my father was a child— took me under her wing. I begged for the full waitress outfit and she gave it to me: the apron, the collard, the cuffs, and even the headdress! I was so excited; I wish I had a picture. Anyhow, Cecile sent me with the cart to the tables to present diners with their choices, she would show up few minutes later to plate. Very soon Cecile let me handle the cart all by myself. I loved it and so did the guests. I could count it has my first food performance. So buying large the cart was a rolling version of today’s salad bar and at the same time a salade composée or mixed salad. The first mixed salad I recall seeing on the menu is Salade Niçoise -tomatoes, black olives, tuna, onions and hard-boiled eggs. Here I should specify that I am talking about the pensionnaires’ menu (the residents’) as we called them. 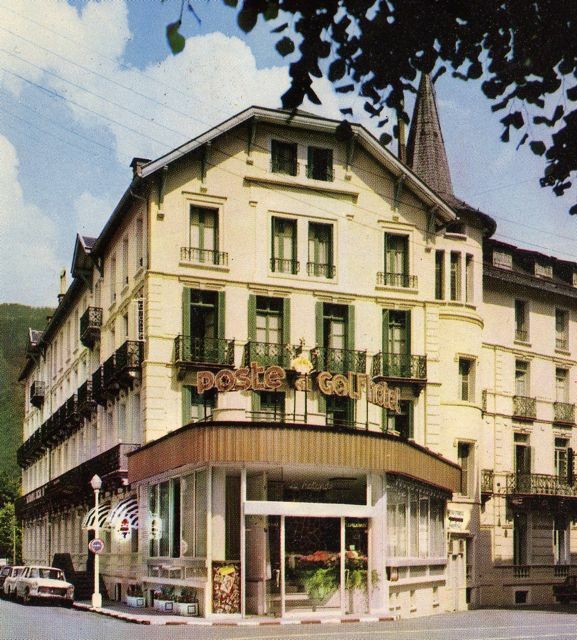 The family hotel was in the spa town of Luchon where people came to treat respiratory and rheumatism problems. La cure, the cure, lasted 3 weeks and clients price included breakfast, lunch, dinner and lodging called pension complete. 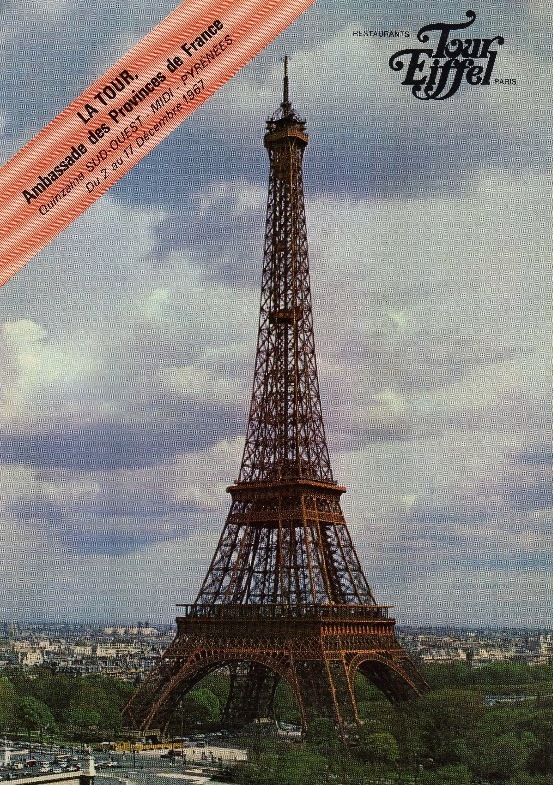 At that time the hotel was registered 4 starts and the menus were always 5 to 6 courses meal: hors d’oeuvres (appetizer), entrée (first course), plat de résitance (main course or entree),salad , cheese, dessert. The plateau de fromages, the cheese tray, was usually on the lunch menu and the salad on the dinner menu. She would shrug her shoulders and wait for the next opportunity to sneak one on the menu! I called her to check how close my memories matched hers —frequently they don’t!— but in this case it did. She added that she was the one who had the carts built. Family memories will be continued another time; meanwhile there is my salad! I roasted 2 big chicken breasts with bone in. I basted the breast with olive oil, garlic, salt & pepper and roasted them slowly so they stayed juicy. Chicken can be served warm or cold, I prefer it cold on my greens. I dressed read lettuce with my usual simple salad dressing using rice vinegar -I would have used apple cider vinegar but I was out. 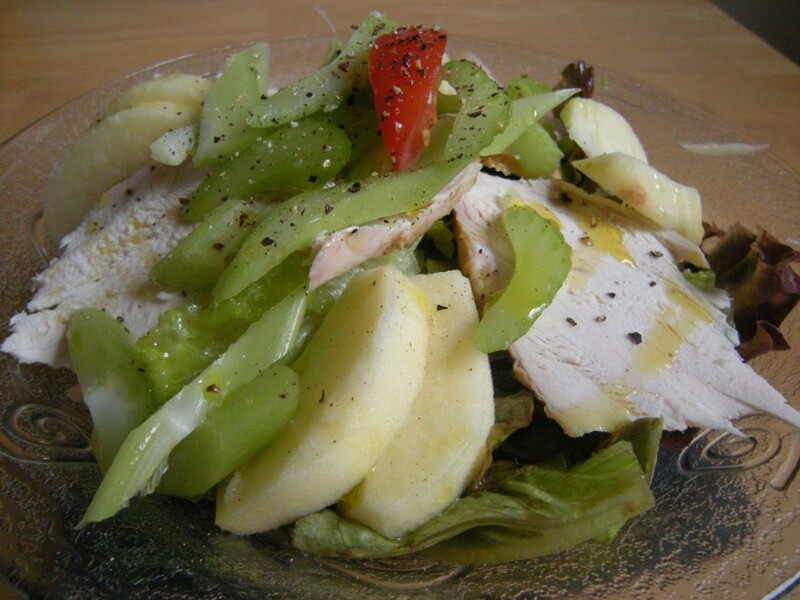 Then the picture is pretty explicit: I sliced ½ a Mutsu apple (I ate the other half), cut up a few ribs of celery, sprinkled the whole thing with extra virgin olive oil and lots of fresh ground pepper. Voilà! I debated weather of not adding cheese, and I didn’t, though fresh goat cheese would have been nice. Enjoy the refreshing and palatable combination of the textures and make your own combination. Sunday morning I made Oeufs Cocotte à la Crème. 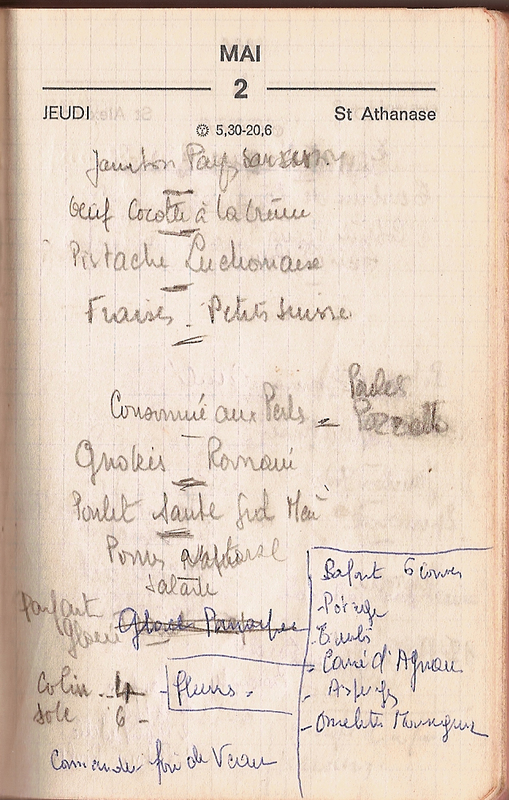 This is another dish that was often served at my family hotel-restaurant and below is the scan of a menu from my grand father Joseph Peyrafitte’s menu notebook. 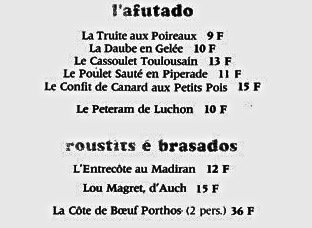 On Thursday May 2nd 1968 Oeufs Cocotte were served as the first course of the traditional five courses lunch menu. As you can see this lunch did not lack proteins! Plateau de Fromage : not mentioned here but a given. Dessert Course: Strawberries & Fresh Quark Cheese. 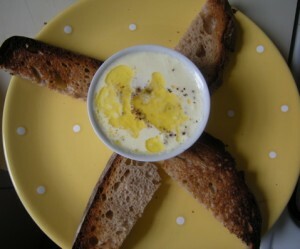 I served the Oeufs Cocotte for brunch and they were incredibly delicious. But first, what is a cocotte: it is a small fireproof dish in which individual portions of food are cooked and served. -Break 2 eggs per person in a bowl and reserve them for later. Escoffier skips this step but I like to do it for two reasons: 1) the eggs will reach room temperature and 2) it will be easier to remove any egg shell bits and check on the quality of the eggs before pouring them into the final dish. 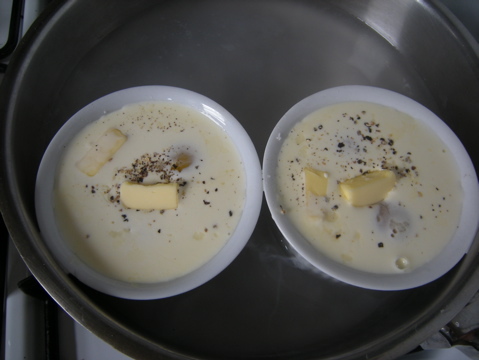 -In a small pan warm up one (generous) table spoon of the heavy cream per person. 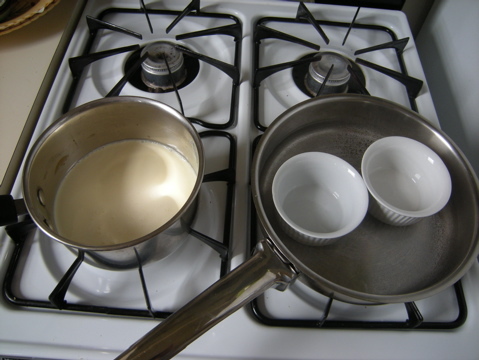 -Pour one of these table spoons of hot heavy cream into each of the warm cocotte dishes. Then add the eggs. Season to taste (Escoffier does not give quantities for seasoning. I used salt & pepper, next time I will add a little paprika), two little pieces of butter (you can see below how much I did put in). -Cook covered in double boiler for about 4/6 minutes depending on how you like your eggs; the water shouldn’t go higher that 1/2 way up the cocotte dishes. Escoffier doesn’t tell how long it should be cooked; I did mine for about 5 minutes, they were perfect, but that is a matter of taste — I like my eggs very soft. -Dig in with a spoon and have rye bread toast on the side. Do not butter the toasts! that would be excessive, it is decadent enough as it is! Bon Appetit!